Han and I have finally sat down to make the cake toppers for her birthday cake! 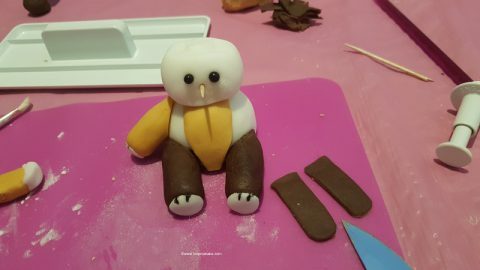 With her being a teen this year I asked her what she would like in a cake, little did I realise we would be making a one of a kind original! It’s been a long time since we have sat down making things together, so this was a nice bit of fun time for us! 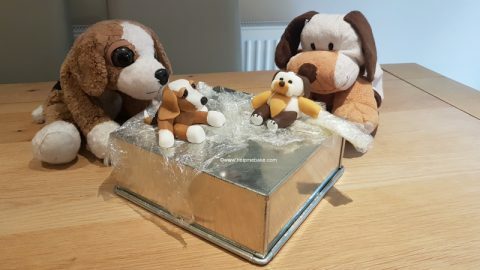 The first idea she came up with was to make her lifelong teddy bear dogs into sumo wrestlers; her description was for dog heads to be made onto a sumo body! Fine, I thought, ok, I’m down with that, then as it started to get closer to her birthday I asked her to draw what she had as a cake theme in her head so that we were both on the same page. She then drew this! Both her teds fully formed with mawashi’s (sumo strips) on! 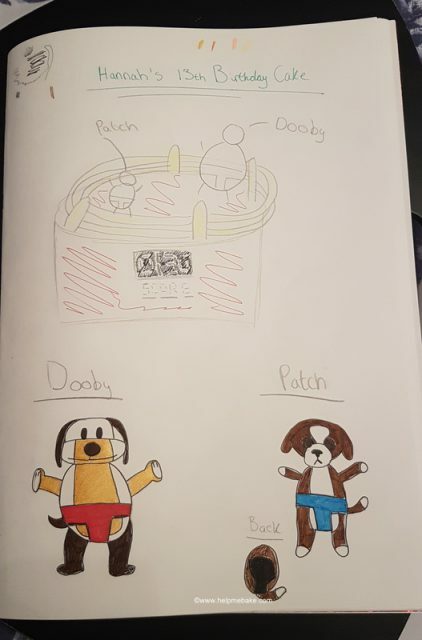 When I asked her about the original idea, she informed me that after drawing the cake she realised she now wanted the full dogs in sumo wrestler gear and for them to be placed in a ring. I asked her if she wanted a dohyō (sumo ring) or more of a boxing ring because her picture had ropes around whereas the dohyō doesn’t. After looking at her drawing we decided that it was best to make the cake with some kind of boxing ring, however, due to our level of concentration, we ended up forgetting to put the mawashi on! This is Han hard at work making her topper. We decided at this point her dog had started to resemble a snowman! Ooh and mine had started to look like a dinosaur, we had a good laugh at how they were shaping up so to speak! After finalising, prepping and re-creating we finally came up with what was a fabulous likeness to her dogs! I love the concentration on her face, you work so well together and always come up with unique and gorgeous looking cakes.